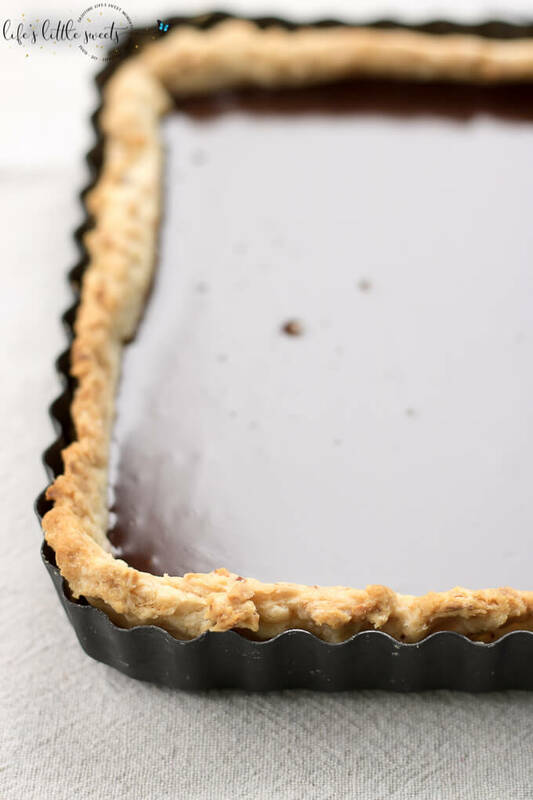 This Ganache Tart recipe is easy yet decadent with a homemade almond (or plain) and butter tart crust and smooth homemade chocolate ganache. 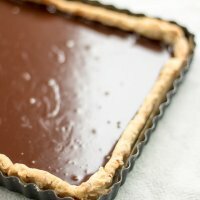 Hi Everyone, this Homemade Chocolate Ganache Tart has an almond and butter homemade crust and it is surprisingly EASY to make! Yay for easy! 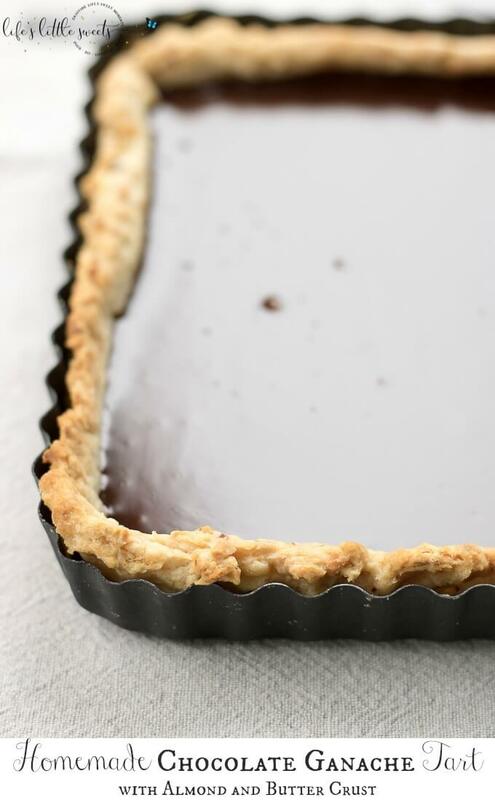 The Ganache filling can be made completely on the stove top (only a 5-10 minute step) and the homemade crust which is a simple pie crust enhanced with almonds is baked in the oven before filling. 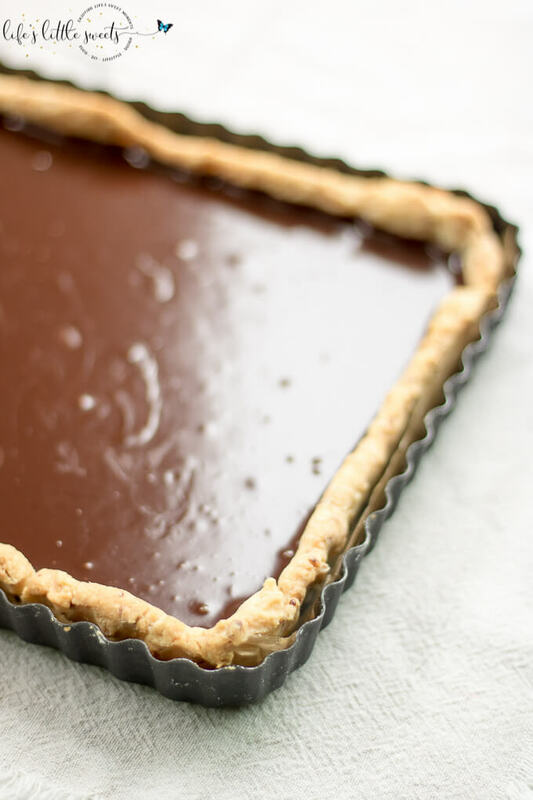 You can certainly make this easier by getting store bought pie crust, no judgement here, whatever it takes to get to a homemade chocolate ganache tart is fine by me. 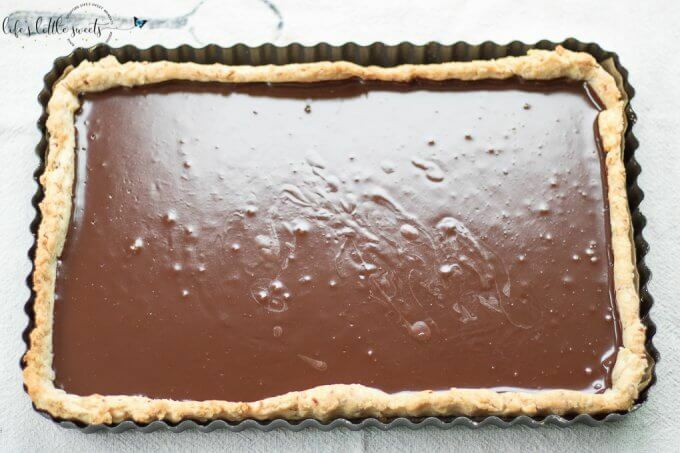 Let me know what occasion you make this Ganache Tart for in the comments below! If you like this Ganache Tart, you might also like Chocolate Ganache Recipe, Chocolate Latte, Chocolate Buttercream Frosted Chocolate Cupcakes. 1 recipe single crust recipe, search LLS "Single Crust Recipe"
Prepare "single crust recipe" according to directions and when mixing the ingredients, add in the sugar, almond extract and chopped almonds. 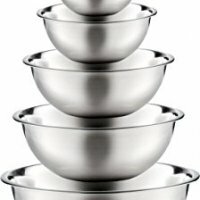 When the dough is ready, after it's been chilled, roll out into the shape of your tart tin and press into the tin. 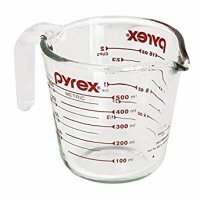 Prick the bottom with a fork, add a sheet of parchment paper then add your pie weights and bake in 450 degree F oven for 15-20 mins or until the crust is golden and cooked through. 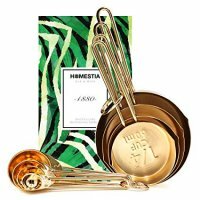 In a medium saucepan on the stove top, over low-medium heat, add in heavy whipping cream, unsalted butter, espresso powder, stir with a whisk, bring to a boil and remove from heat. Add in the chocolate and pure vanilla extract. Let it sit for 5 minutes. After 5 minutes, stir in one direction until the chocolate and ingredients are completely combined and smooth. Pour into the cooked tart crust. 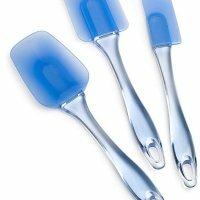 Allow to cool to room temperature and then transfer to the refrigerator to cool completely at least 2 hours or overnight before serving.